Looking for a CPM ad network that accepts blogs? CPM ad networks-the most under used blog monetization method is waiting for high traffic as well as moderate traffic blogs to tap into them. Cost per million (CPM) advertisement networks pays publishers a certain amount of money when the placed ad is viewed every thousand times. 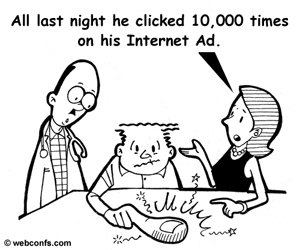 There are several CPM ad networks that only accept sites that boasts of a minimum of 1 million page views per month. However, there are equal number of CPM players that accepts blogs that report a few thousand visitors every month. I'd like to introduce to you a new publisher network, www.ValueViewMedia.com. They assure us of no popup ads, no malaware etc making them trustworthy for our site visitors. Currently, their eCPM rates range from $0.54 and $0.27. These are paid based on views and not based on by clicks. Ah, I see you are happy and excited to try it out on your blog. Since the drop in AdSense earnings, many bloggers have started banking on CPM way of monetizing their blogs.They have the standard rules, very similar to Adsense; No explicit content, hate speech, etc. "Networks typically have a combination of premium advertisements and ads for remnant traffic. This means you’re serving a blend of high CPM ads and low CPM ads. This is great for networks, since they monetize as much of your traffic as they can and offer “high fill rates”. The problem is, they end up serving low paying remnant ads to your premium traffic. Most networks allow you to send traffic to a backup network through default ad tags. However, you’re CPMs are still the average of premium ads and low paying ads. When your next network serves monetizes your traffic, they’ll do the same thing."